Britain’s Rugeley coal plant will close this summer due to worsening market conditions for coal generation, with the potential loss of 150 jobs, operator Engie said yesterday (Monday). The one-gigawatt plant, located in Staffordshire, is jointly owned by French power and gas group Engie and Mitsui & Co. Ltd. It can provide enough electricity to power one million homes. A surge in renewable energy production and cheap gas prices have effectively priced coal-fired power plants out of the market in Britain. Earlier this month, British power producer SSE said it would likely close most of the units at its 1,995-megawatt Fiddler’s Ferry coal-fired plant from the first of April. Commenting on this event, investment bank Jefferies said it expects more coal plant closures this year in Britain if the relative profitability of burning gas over coal by utilities continues. According to French newsletter La Lettre de l’Expansion‍​, Engie plans to sell 2.5 to 3 billion euros worth of exploration and production assets, 2 to 3 billion euros of coal-fired power plants, 5 billion euros worth of U.S. plants, and some infrastructure assets, over 2016-2018. Engie owns five other plants, including the 2GW First Hydro pumped storage facility in north Wales and a 1GW gas-fired power station at Saltend in East Yorkshire. The demise of Rugeley adds to a growing list of coal-fired plants that have been forced to close. 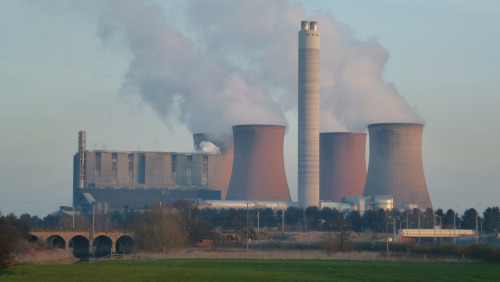 The 2GW Eggborough plant in Yorkshire and Longannet in Fife are slated to close in March, while Ironbridge in Shropshire closed last year and power supplier SSE is to close most of the 2GW Fiddler’s Ferry plant near Manchester.